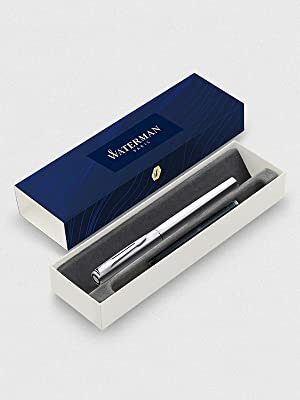 The Waterman Graduate Chrome Fountain Pen has a contemporary, stylish design with a performance appeal for students and professionals. 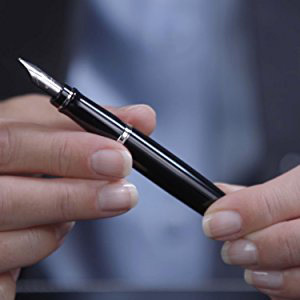 Create a beautiful writing experience with the smooth flowing black ink of this professional fountain pen. 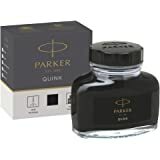 With a French-influenced modern and confident design, the fine-nib pen makes for a strong first step into the fine writing world. 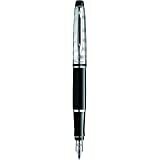 Based on a classic Waterman pen design, the Graduate’s smooth metal body and chrome trim provide a stylish look and feel to impress, whether in a classroom or the boardroom. 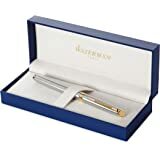 The Waterman Graduate Chrome Fountain Pen has a contemporary, stylish design with a performance appeal for students and professionals. 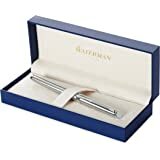 Based on a classic Waterman pen design, the Graduate’s smooth metal body and chrome trim provide a stylish look and feel to impress, whether in a classroom or the boardroom. Smooth as silk, precise as a scalpel. 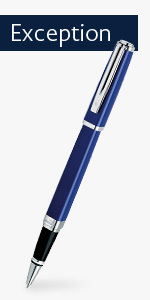 With the Waterman ballpoint nib, each line you produce is flawless, as elegant as the words you commit to paper. It never dries out, never bleeds, and never disappoints. 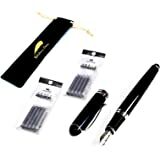 For exceptional high-precision writing to mark your most significant moments. 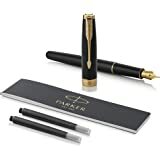 Relish the purest traditions of liquid ink, while luxuriating in the effortless comfort and control of the rollerball pen. 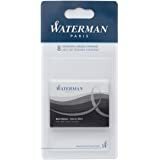 With the Waterman rollerball, each mark you make is distinctively yours—deliberate, intimate, and immediate—enhanced by the creative finesse of a refined tip. 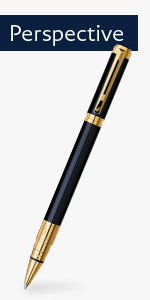 The finest in poetry, movement, and design: this unique, streamlined nib provides you with a supple thrill as it glides smoothly across the paper, delivering bold lines and fluid curves with all the grace and authority of an aristocratic hand. Revel in the grandeur of the Waterman Fountain pen. 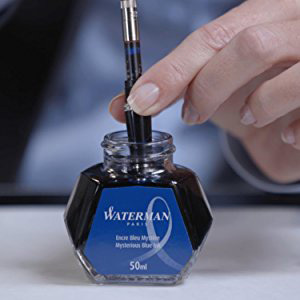 Prepare your Waterman Fountain pen by removing the cap and unscrewing the nib to reveal the empty converter. Twist the converter plunger counterclockwise to completely remove air from the cartridge. 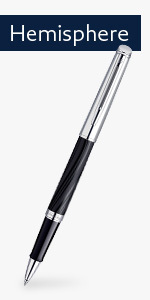 Submerge the nib into the ink. 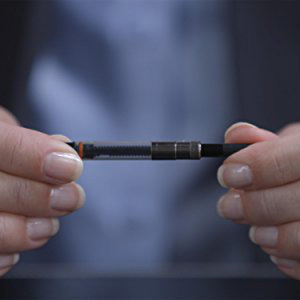 Twist the converter clockwise to draw the ink into the cartridge until it’s as full as you’d like. 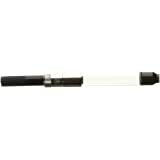 To ensure smooth ink flow, twist the cartridge counterclockwise to eliminate remaining bubbles. 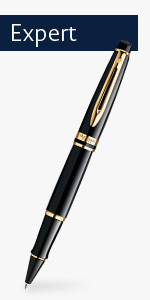 Then, reassemble the pen and enjoy the luxurious thrill of writing with a Waterman. 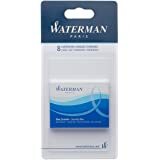 Although on the Amazon page it says made in France, I think it refers to the general Waterman brand! I could not find any marking on the pens indicating where they were made. I am doubting if they are made in France. 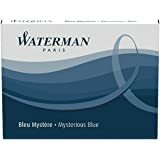 I have a more expensive Waterman with France engraved on its cap. In any case, I purchased two of these, both have scratchy nibs! My advice: Pay a little more and buy a LAMY Safari. 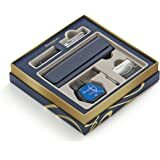 I've been a long time fountain pen user. Waterman Experts, Metropolitan Pilots and Lamy Safari. 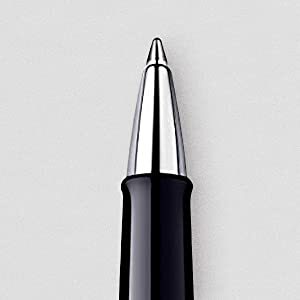 The graduate does not have the finish of the enameled high end pens but it writes well and isn't scratchy on good paper. 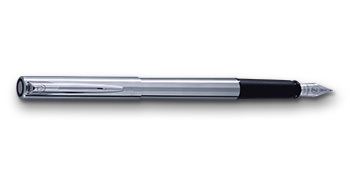 The cap doesn't post well- it just jams on the body of the pen- like the Pilot and Lamy low end pens. But it's a keeper. I'll probably use this as my "travel" pen. If I accidentally leave it in the TSA bin, I won't have a heart attack about it. 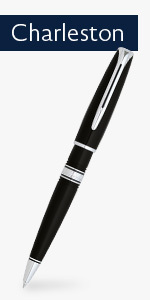 It writes significantly better than the Metropolitan without skipping if I write quickly. My Lamy's are mediums so they write great but aren't very efficient and lay down too much ink on recycled papers. 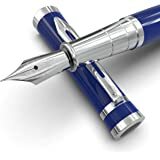 I am 19 years old and I have been looking for a replacement for the fountain pen I have been writing with since middle school. I used some of the JINHAO pens because they were cheap and looked kind of cool. They leaked and didn't write smoothly all the time. 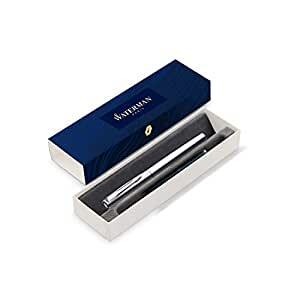 With the Waterman, not only does it feel elegant (the JINHAO ones felt elegant too) but it writes smoothly and the weight doesn't make it feel clunky. I really enjoy writing on my reinforced FIVESTAR paper which usually doesn't do well with most fountain pens. It writes well, it looks good, I'll probably get another one in a different color next year. 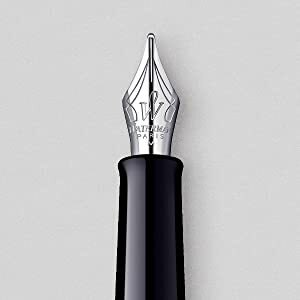 It is very smooth and truly fine nib writing. Much better than more expensive fountain pen. I strongly recommend and would be very happy your purchase. I thought it would not be well placed the nib but it was ok and the problem continues. This has been the worst purchase at Amazon. Besides all I lost the opportunity to return it, as I bought it for a gift and was out of the country. 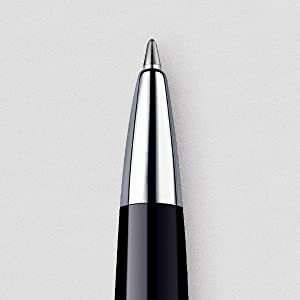 Please buy another pen, not this one.